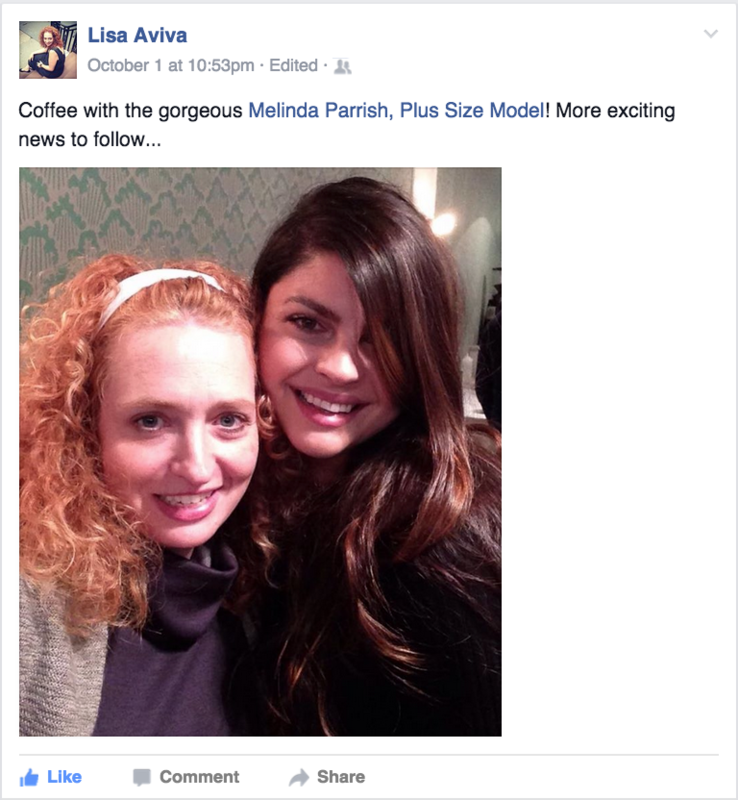 Lisa Aviva is a Canadian-born Designer who is launching a plus size fashion line. I had the pleasure of serving as the model for her first-ever photo shoot last week! Through that collaboration, I was inspired to get to know Lisa better over a cup of coffee. "I specifically wanted this fashion line to be about more than beautiful things," Lisa dished as she sipped her latte. "I don't feel that clothes should define you, but they can enhance how you feel. I feel differently when I put on something that's beautiful. It makes me feel more beautiful. I want all women to feel that way!" Lisa is a true artist and trained designer, with a multi-disciplinary Fine Art degree from the School of the Art Institute of Chicago. After closing her men's accessories collection, Lisa took a few years off to travel, doing "one off" commission work and growing herself spiritually. "As someone who is spiritual, I believe that there should be a certain amount of ease when you're on the right path," Lisa said, reflecting on that time. "If it's not flowing, you have to step back and reevaluate." "People had been asking for years, 'When are you going to start designing for women?'" she said. "One of the signs that I'm on the right track this time is that everything is just flowing really easily, with all of the pieces coming together so easily. I feel very fortunate. I feel like I'm in alignment." Lisa actually wore some of her prototype garments to our coffee date! She is pictured here in a pencil skirt and turtleneck body suit of her own design, paired with a cardigan, belt, tights and boots from her personal collection. A plus size woman herself, Lisa and I discussed the perils of trying to find beautiful clothes in our size. "Designing for plus size women is a dream come true! 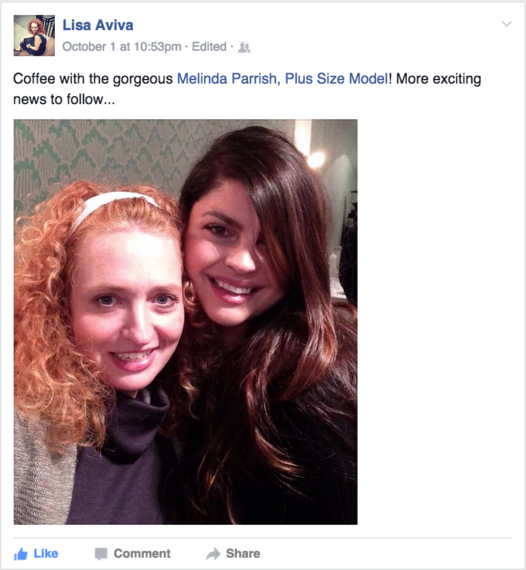 I want plus size women to be able to shop without feeling shame over their bodies," Lisa said. For Lisa, weight fluctuations have been a crucial part of her own experience. "A few years ago, I lost a significant amount of weight and went down to a size 10 / 12. I didn't know how to shop for or dress that body!" Lisa said. For this reason, her collection of knitwear is designed to work with the fluctuations that are normal for most women, as opposed to working against women's bodies in a rigid way. Lisa doesn't want women to have to go out and buy a completely new wardrobe each time they lose or gain a little bit of weight. Lisa offered a little advice for anyone who is toying with pursuing a dream project. "I have learned that it will never happen if you don't try. Sometimes the fear of failure is worse than failure itself. But once you take the leap, you realize it's not really about failure, but about constantly learning and growing and improving," Lisa said. "I had a great business which I loved. I was devastated when I closed the men's accessories collection. But I learned so much! It was like getting my MBA. Everything that I learned I'm able to apply this time around." I asked Lisa what concrete action she would recommend to anyone who is struggling with getting started. She recommended Vision Boarding as a way to kick-start your dreams. "Sometimes, you get stuck," she said. "After closing my previous business, I got to a point where I forgot how to dream. Then a friend encouraged me to create a Vision Board. That was my crucial first step in making this current dream come true. If you can't envision what you want, you can't create it." Lisa's namesake collection, "Lisa Aviva" will be available in stores beginning Fall / Winter 2016.